While the affected airplanes all have a similar main spar design in the wing attach-point area where the fatigue cracking was found, engineering data presented by Piper separately to the FAA and the NTSB showed that the localized stress level can vary significantly depending on airplane gross weight, cruising speed, and amount and location of fuel in the wings. The data also showed that the airplanes at greatest risk for fatigue cracking are the PA-28-235 model airplanes, all PA-28R series airplanes, and the PA-32-260 and PA-32-300 model airplanes. The NTSB supports the inspection requirements of the proposed AD for these airplanes. However, the NTSB notes that the data showed that the risk of fatigue cracking on all affected PA-28 series airplanes other than the PA-28-235 is significantly lower over their assumed useful life. We are concerned that the risks associated with disturbing the joint to complete the inspection may outweigh the risk of fatigue cracking in all affected PA-28 series airplanes other than the PA-28-235 and urge the FAA to reexamine the applicability of the proposed AD. Members can read the entire NTSB letter here. This content can be seen only by paid members who are logged in. AOPA and EAA have both filed public comments supporting Piper Aircraft, Inc.’s request for the FAA to delay the wing-spar AD until further investigation can be made. 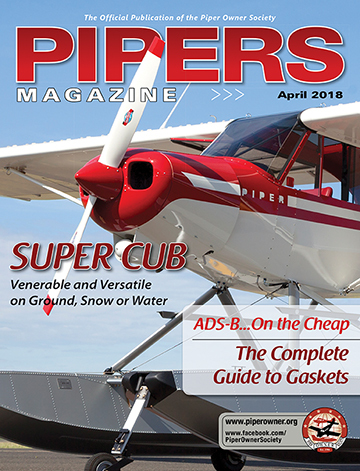 The FAA should pull back its proposed airworthiness directive calling for logbook reviews and possible wing-spar inspections of up to 20,000 Piper PA–28 and PA–32 series airplanes and instead gather safety data through alternative, readily available, and less onerous means, AOPA said in a regulatory filing. Once the NTSB has issued its recommendations, the FAA should initiate its Airworthiness Concern Sheet process, allowing it to “engage and collaborate with stakeholders, including AOPA, Piper Aircraft, Inc. and others, to target and implement mitigations” for the problem of metal-fatigue cracking of a lower main wing spar cap that may have been a causal factor in the Florida accident, he said. Read the entire AOPA letter here. EAA filed public comments on a proposed airworthiness directive (AD) affecting numerous Piper PA-28 and PA-32 aircraft on Monday. The AD requires aircraft with certain use histories, as determined by a formula that accounts for total time in service and 100-hour inspections, to undergo eddy current inspections on their wing spars. The AD was prompted by a tragic accident at Embry-Riddle Aeronautical University last spring, where a PA-28R-201 Arrow suffered a wing spar failure in flight resulting in two fatalities. Read the press release from EAA here. Read what Piper had to say here.